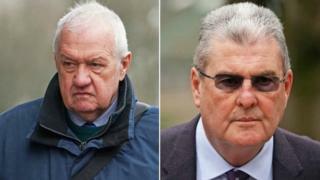 The jury in the trial of Hillsborough match commander David Duckenfield has been unable to reach a verdict. 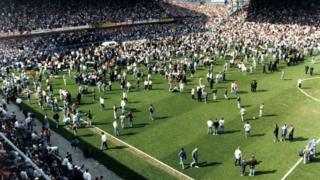 Former Ch Supt Duckenfield, now 74, had denied the gross negligence manslaughter of 95 Liverpool fans in the 1989 disaster. Lawyers for Mr Duckenfield have said they will oppose an application from prosecutors for a retrial. 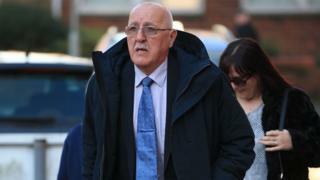 The Crown Prosecution Service (CPS) has said it will seek a retrial for Mr Duckenfield, of Ferndown, Dorset. 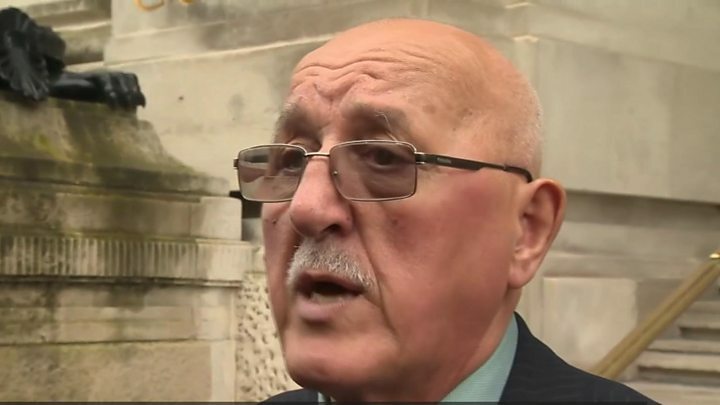 But lawyers for the former South Yorkshire Police officer said they would apply for a “stay of proceedings” to prevent another trial. During the 10-week trial at Preston Crown Court, jurors heard that 96 men, women and children died as a result of a fatal crush on the Leppings Lane terrace on 15 April 1989. The jury deliberated for more than 29 hours but was unable to agree whether Mr Duckenfield was guilty or not guilty of manslaughter by gross negligence. CPS legal director Sue Hemming said the trial had been “incredibly complex” and she recognised “that these developments will be difficult for the families affected by the Hillsborough disaster”. Margaret Aspinall, chairwoman of the Hillsborough Family Support Group, thanked the jury for “the weeks they’ve taken for their deliberations”. Barry Devonside, whose son Christopher died in the disaster, said he was “exceedingly disappointed” the jury had failed to reach a verdict on the charge against Mr Duckenfield. Speaking after the jury was discharged, Mr Devonside said: “Most of the families wanted a verdict of one kind or another. However, Steve Kelly, whose brother Michael died at Hillsborough, said: “I can only speak personally [and] I don’t want to see another trial. 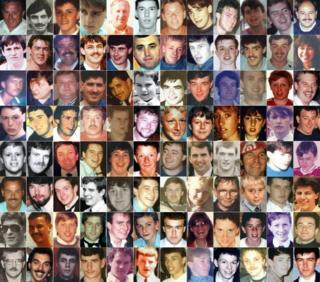 In a statement, Liverpool Football Club said it wanted to “reiterate our support and admiration for the Hillsborough families, survivors and campaigners”. The trial heard Mr Duckenfield ordered the opening of exit gates at the Leppings Lane end of the ground at 14:52 BST, eight minutes before kick off, after the area outside the turnstiles became dangerously overcrowded. Prosecutors alleged Mr Duckenfield had “ultimate responsibility” at the ground and should have made “key lifesaving decisions” on the day. Mr Duckenfield’s defence case lasted just 74 minutes and consisted of read evidence from his deputy on the day – ground commander Bernard Murray. His defence argued the case against Mr Duckenfield was “breathtakingly unfair” and said he had “tried to do the right thing”. Mr Mackrell, 69, was convicted of failing to discharge his duty under the Health and Safety at Work Act, by a majority of 10 to two. He was accused of failing to take reasonable care to ensure there were enough turnstiles to prevent large crowds building up. The court heard there were seven turnstiles for the 10,100 Liverpool fans with standing tickets for the match against Nottingham Forest. Mr Mackrell did not give evidence but Jason Beer QC, defending, argued the build-up of fans outside was caused by other factors, including a lack of police cordons and the unusual arrival pattern of supporters. Mr Mackrell is due to be sentenced on 13 May.